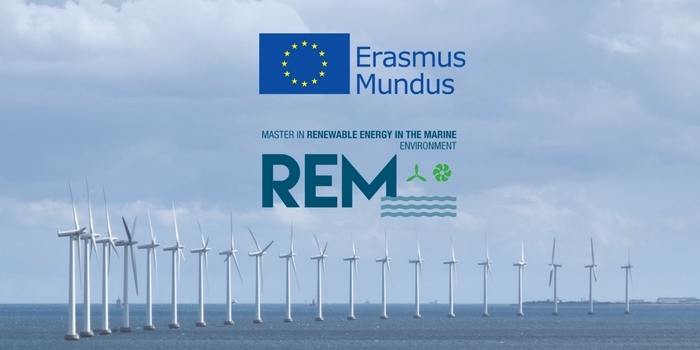 Master in Renewable Energy in the Marine Environment (REM) has been recognized by the European Commission for its academic excellence and has been included in the list of Erasmus Mundus Joint Master Degrees under the Erasmus+ programme of the European Union. 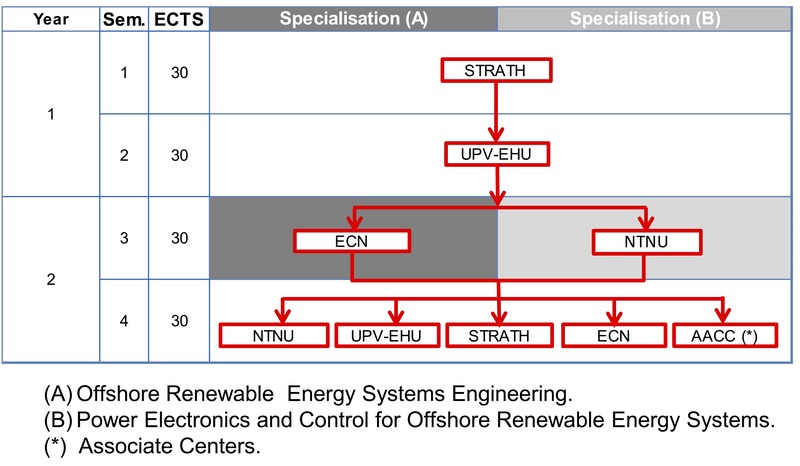 Starting with the 2018-2019 academic year, the programme is a two years masters’ course consisting of 4 semesters of study (120 ECTS), in accordance with the ECTS (European Credit Transfer System). 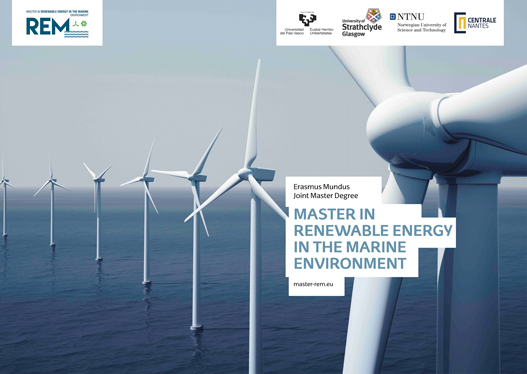 It will be a joint programme tailor-made by 4 European universities: the University of the Basque Country (UPV/EHU), the University of Strathclyde, Centrale Nantes and the Norwegian University of Science and Technology (NTNU). The master will also feature the participation of more than 30 companies as associated partners.